WASHINGTON — Alaska's two Republican senators voted in favor of the "nuclear option" on Thursday, lowering the vote threshold the Senate must overcome to confirm a nomination to the Supreme Court. Both Sens. Lisa Murkowski and Dan Sullivan were ardent supporters of President Donald Trump's nominee, Judge Neil Gorsuch. Both joined Republicans in a rule change Thursday that allowed Gorsuch's nomination to advance to a final vote, with 55 in favor, and 45 Democrats against. Before the rule change, 60 votes would have been necessary to advance to a final vote. "I respect the traditions of the Senate," Murkowski said, but she decried the filibuster efforts by Democrats against the Supreme Court nominee. Murkowski did not mention the Republicans' decision to hold up President Barack Obama's nominee to replace deceased Justice Antonin Scalia, refusing to hold committee hearings or bring the nomination to a vote. "I have a longstanding practice of supporting a process that allows every nominee the opportunity for an up or down vote once they have been passed out of committee. 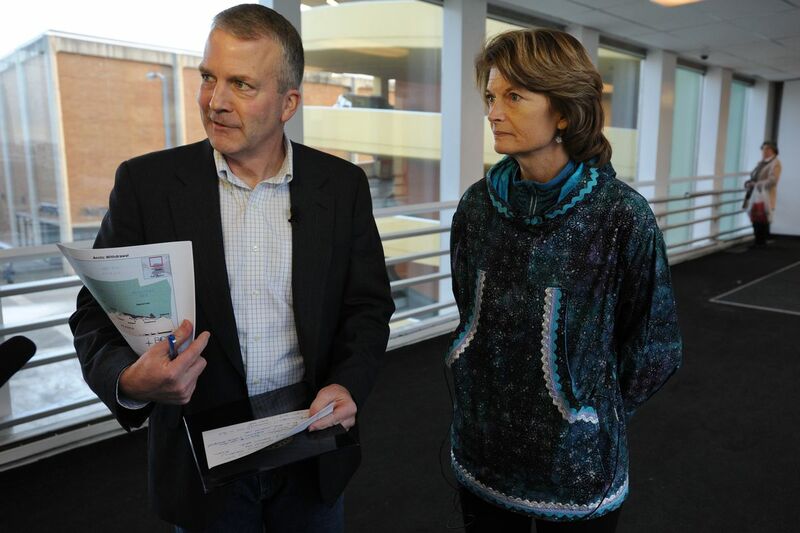 That should especially be the case with Supreme Court nominees," Murkowski said. Murkowski said she aims for bipartisan consensus, but there was no way to get Gorsuch through the Senate without changing the rules. Murkowski called the move to change Senate rules "discouraging and disheartening," but said it was more important to have a full panel of judges on the Supreme Court. On Wednesday, Sullivan said he hoped that the fight over the nomination would not result in change to Senate tradition and rules, but "at the same time I believe strongly that Judge Gorsuch deserves to get an up-or-down vote." Sullivan said it was Democrats, in fact, who "threaten the traditions of this institution" by filibustering a vote on Gorsuch's nomination. Murkowski has long supported Gorsuch's nomination. On the Senate floor Wednesday, she said she recommended him to the White House before even meeting with him. After sitting down with the judge, she was even more encouraged, she said. "Gorsuch checks the box on every measure of what I'm looking for in a Supreme Court nominee — intellectual capacity, experience, independence, integrity — he has all of these," Murkowski said Wednesday. Murkowski called him an "intellectual heavyweight" and emphasized that she believed he would remain independent from the president as a member of the court. Murkowski also lauded Gorsuch's experience with Western issues and Native case law, as well as his endorsements from the National Congress of American Indians and the Native American Rights Fund. Sullivan too called Gorsuch an "exceptionally well-qualified candidate for the U.S. Supreme Court," and touted his credentials on the Senate floor Wednesday. He noted that in 2006, then-Sens. Hillary Clinton, Barack Obama and Joe Biden all voted to confirm Gorsuch to the U.S. Court of Appeals for the 10th Circuit. He also argued that Americans spoke at the polls in November, electing Trump as an expression of desire to have a new Supreme Court justice in the mold of Scalia. "To his credit, President Trump kept his word on this important issue by putting forward an extremely well-qualified candidate who will be a worthy successor to Justice Scalia," Sullivan said.